Canberra Irish Club needs your help! 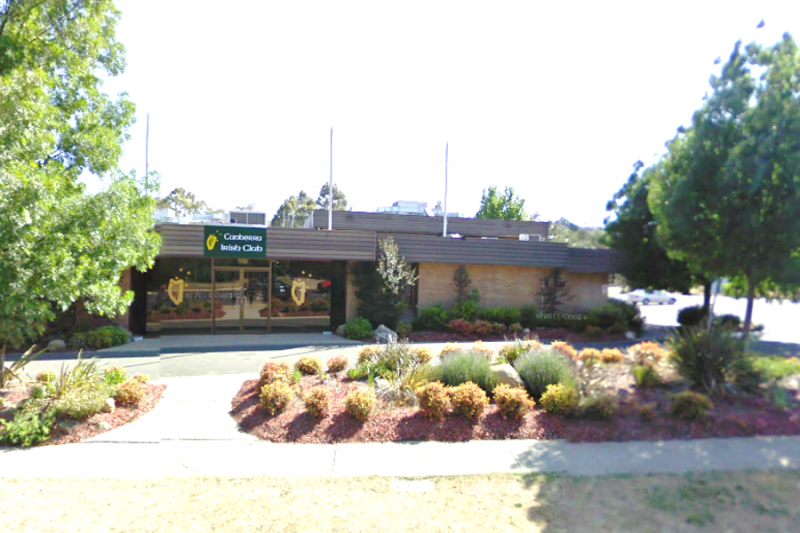 Since being established in 1975 the Canberra Irish Club has served the local and Irish communities from its site in Weston. We exist to cultivate and foster Irish culture, to promote Irish-Australian goodwill and to provide recreational activities for our members who number around 5,000. We offer a bar (with the best Guinness in Canberra! ), a bistro, gaming and a welcoming place for people to gather. We offer Irish Language classes, Irish Dancing classes, Irish Traditional Music and Song sessions, Irish cultural events, and feature Irish bands and singers. We support over 30 community and sporting groups. The Club is threatened with closure as it has accumulated substantial debts over the course of a number of years. The Board has explored borrowing from and/or amalgamating with other Clubs without success. We want to continue as the Canberra Irish Club from the current site, to support the local and Irish community through a healthy and successful business operation. To do this, we must reduce our debt and generate ways to improve our financial performance. This appeal is part of a campaign to raise $320,000 to pay immediate debts and take the pressure off our cashflow so that we can focus our energy on making the Canberra Irish Club profitable and successful. Help us secure the future of the Canberra Irish Club and the future of Irish culture and Irish-Australian goodwill in Australia’s national capital. I'm pleased to advise the Club has been 'holding it's own' for the last few months and we are in a much more hopeful position. We have payment plans to chip away at our significant debt but the repayments put a strain on our day to day operations. We are continuing to focus on raising funds to pay the debt. Thank you for all contributions and support to date. Let's ensure our club continues for generations to come.